1.5 metres for blower at the side or rear. Power Required 2 x 10amp. Holds 15 users at at time. Requires one staff to supervise ($35 plus GST per hour for staff). 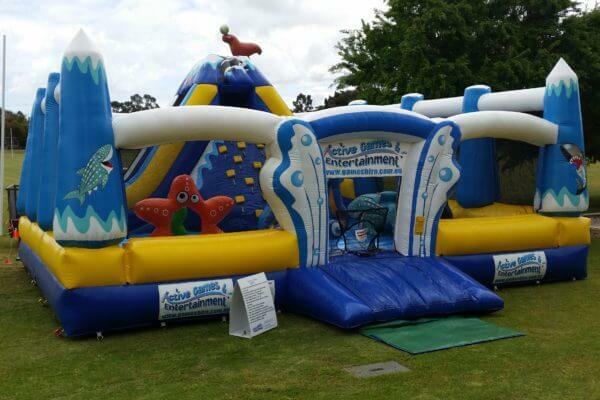 This massive bouncy castle, mini climbing wall and slide combo is fun for all ages. It holds up to 15 people and is ideal for events where a high volume of usage is required.